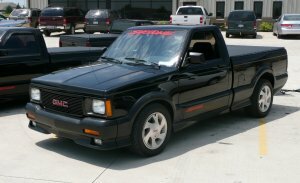 2nd Generation GMC Sonomas and Chevy S-10’s are one of the most common low price, compact pickup trucks on the road today. They’re offered in the typical cab configurations, single/extended/crew, along with 2wd and 4wd drivetrains. The 4 cylinder, when paired with a single cab, 2wd and 5 speed transmission is good for a tick over 20mpg, but don’t expect spectacular fuel economy out of many other configurations. 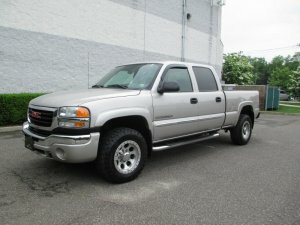 Reliability is moderate, so expect to shell out some money for maintenance, because they are at minimum, a 10 year old truck. Fuel Pump – Common to many 90’s GM vehicles, the fuel pumps in S-10’s and Sonomas tend to go out at around 130-150k miles. It is easier to lift the bed in most cases. Expect to spend $300 on parts and $500-700 on labor at most shops. Power Window Motors – The driver’s window will be most susceptible. The motors are ~$100, but expect to spend $300-500 on labor for replacing. Sagging Door – The bushings in the doors wear out after 100-125k miles. This causes the doors to sag and become difficult to close. The bushings are ~$10 each, but labor for each door can run upwards of $100. 9 queries in 0.364 seconds.